Provide parents with a recurring payment and direct deposit plan. 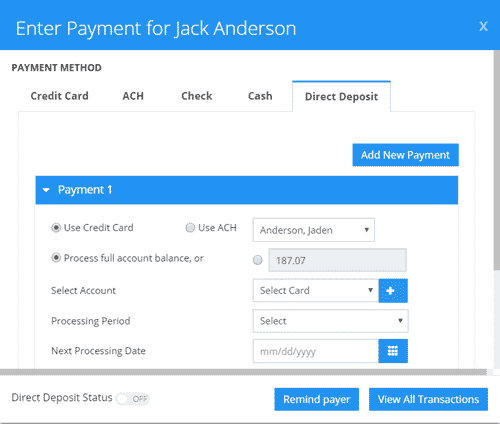 Once your payment processing account is set, money from payments will go directly to your bank account. Automatically charge cards and directly withdraw dues on whatever day of the month set by the Admin. 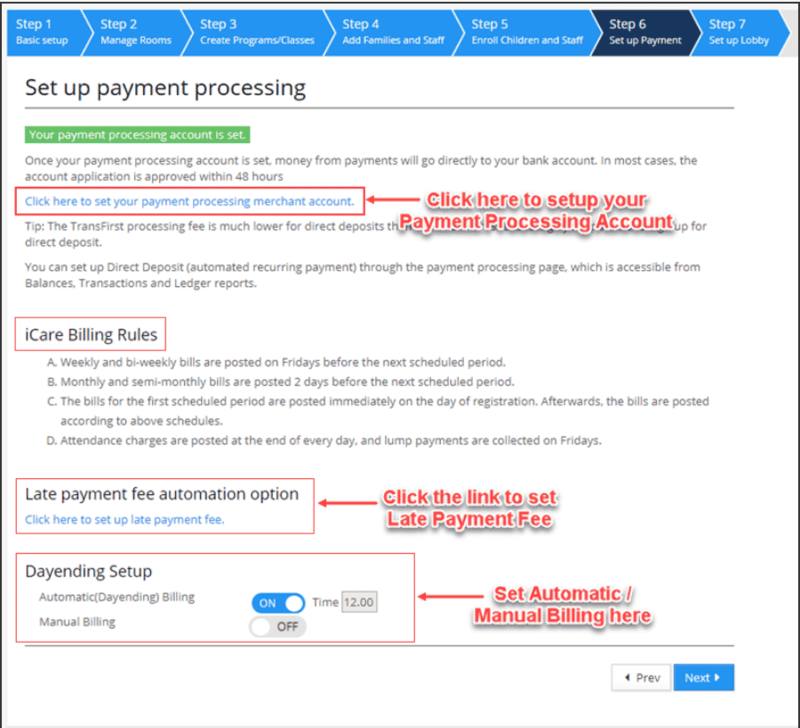 Many Admins use iCare’s Rate-charts to automate bill formulas based on various factor such as, Age, Child Number (Sibling Discount), Enrollment Type, Program Type, Attendance, Min/Max, Amount, Discount, Status etc. 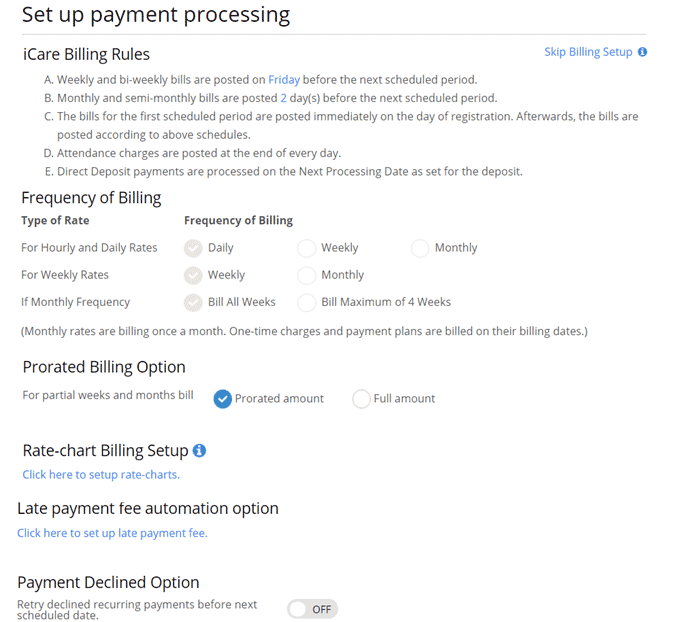 Rate-chart based bills work similar to the normal bills, the only difference being the calculation of Chargeable Fee that is done using the Rate Name and related factors.